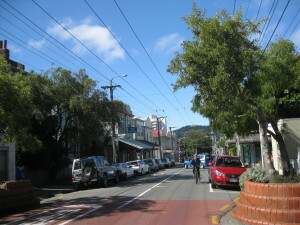 For more of Cuba Street’s “cool”, but on a smaller, quieter scale, take a short walk up to the Aro Valley. Surrounded by vertiginous hills threaded with steep, narrow, winding roads and vertical staircases that lead up to rickety old houses teetering on sunless ridges and windswept ledges, the Aro Valley seems an impossible place to live. It’s a place, you might say, for the hardy and the brave, or perhaps even for the foolhardy and the reckless. In fact, since European settlement, the Aro Valley has been centre for those often associated with life on the edge. In the beginning it was the working class, the battlers, the poor, the fringe dwellers, the radicals and the political activists, then later, students, artists, writers, hippies, intellectuals, innovators and more radical political activists. They made the Aro Valley an interesting place. Old Aro Valley diehards lament that the place is not the same, that it has been “yuppified”, that the life and colour have drained from it and that community is dead here now. Some of this is true. 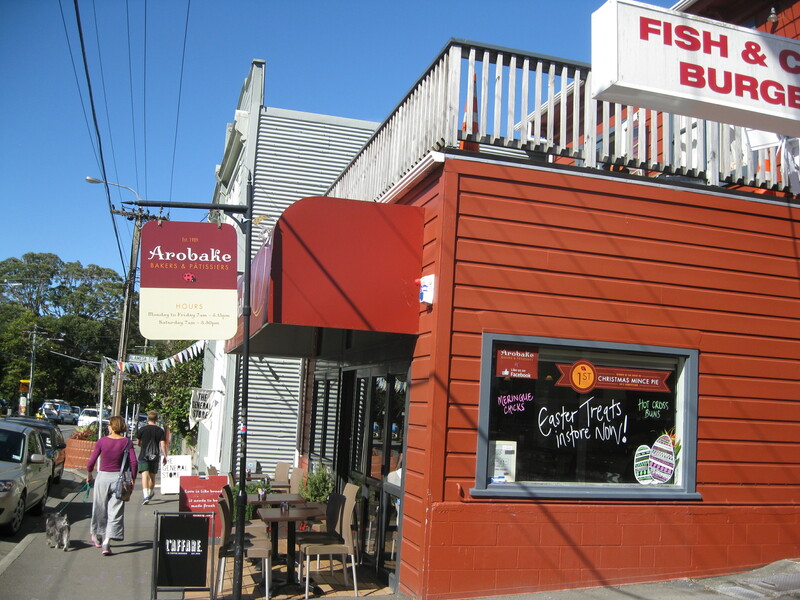 The Aro Valley now boasts a very smart patisserie, Arobake, as well as some up market cafes, restaurants and shops. Many of its homes have been gentrified and occupied by more affluent and possibly less radical residents. Old institutions have been taken over, like the Salvation Army Training Centre which is now the School of Practical Philosophy. Still, much of the Aro Valley remains almost exactly as it was in its radical, activist, hippy, arty intellectual heyday, except for the paint on the buildings and the cars in the streets of course. 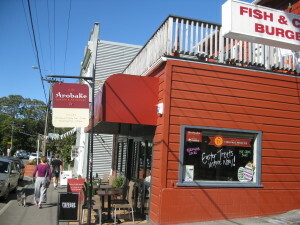 The Aro Street Fish Supply is still serving up the best fish and chips in town. The Aro Street Video Store is still going strong, even in these days of downloads and Netflix. St Vincent’s Opportunity Shop is still the fashion store of choice for many. In those smart cafes and restaurants, there’s still a nod to hippydom – Haya’s laid-back ambience and colourful, wholefood menu for example. Galleries, like Ron Barber’s suggest that there still artists and innovators at work somewhere in the Aro Valley. And even though it’s bumped the Sallies, the School of Practical Philosophy is a sign perhaps that there are still some thinkers around too. Lastly, if you think that the life , colour and community have gone from the Aro Valley, head down to Aro Park towards the end of March, the weekend before the Cuba Street Festival in fact, for the Aro Valley Festival. Then you’ll see the Aro Valley community in all its colourful, vibrant diversity.